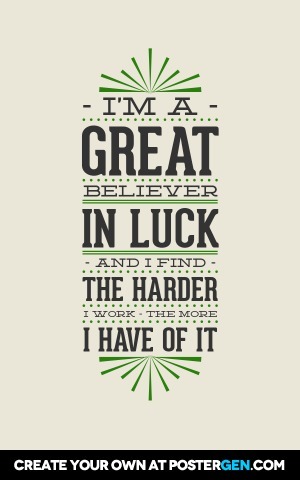 This "Great Believer" print works great for framing or hanging as wall art. Our high quality inks ensure vibrant colors, deep blacks, and bright whites. It will look great as a high quality poster print or wrapped canvas. "- i'm a - great believer in luck - and i find - the harder i work - the more i have of it"